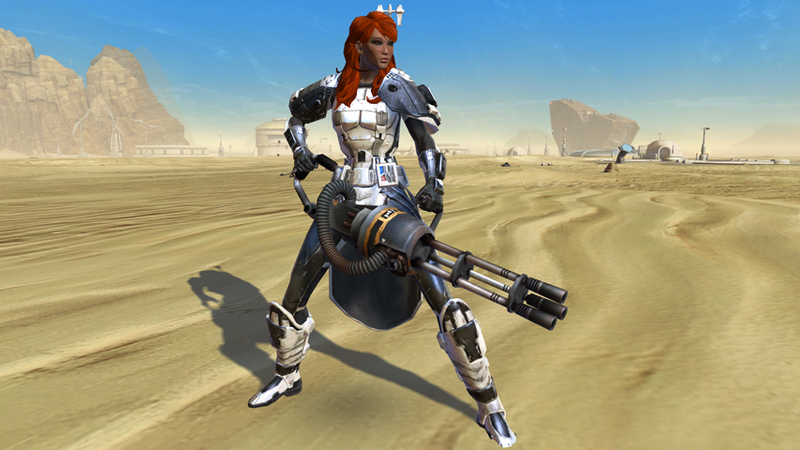 About 90 changes are due to hit the SWTOR servers tomorrow as Operation Nightmare is launched. Not only will several items be added/removed from the Cartel Market, but there’s at least one fix for each player class, as well as new fluff such as mounts and appearance modifiers. 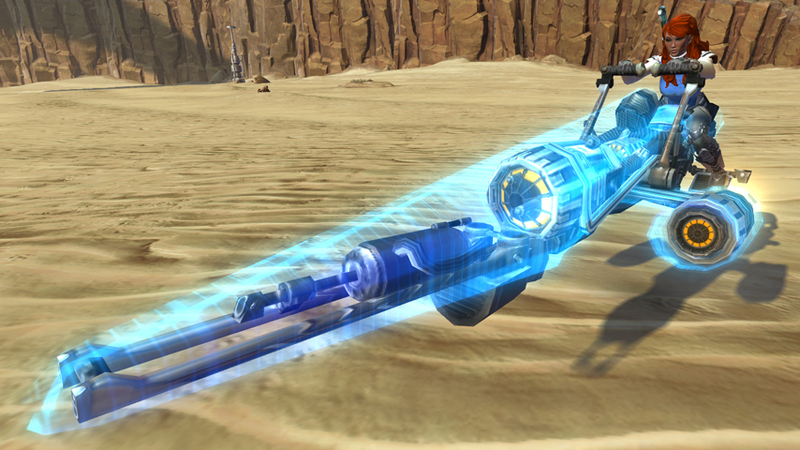 Plus, there’s a brand new subquality of gear for level 55s! The full patch notes are over here, as well as below. An active unique account is defined as a Preferred or Subscriber account that has logged in within the last 720 hours (30 days), and only one character per account will be applied to the guild’s member count. Introspection’s tooltip no longer incorrectly indicates that taking damage causes the effect to end prematurely. The ability’s functionality has not changed. Channel Hatred’s tooltip no longer incorrectly indicates that taking damage causes the effect to end prematurely. The ability’s functionality has not changed. Meditation’s tooltip no longer incorrectly indicates that taking damage causes the effect to end prematurely. The ability’s functionality has not changed. Seethe’s tooltip no longer incorrectly indicates that taking damage causes the effect to end prematurely. The ability’s functionality has not changed. Hightail It’s tooltip has been reworded to properly indicate that the ability only frees from movement-slowing effects, rather than all movement-impairing effects (such as immobilize). Covered Escape’s tooltip has been reworded to properly indicate that the ability only frees from movement-slowing effects, rather than all movement-impairing effects (such as immobilize). Recharge and Reload’s tooltip no longer incorrectly indicates that taking damage causes the effect to end prematurely. The ability’s functionality has not changed. Stealth Scan now requires the Bounty Hunter to have line-of-sight to the target’s location. Jaesa Willsaam’s Leap ability now displays the correct animation. Alderaan Achievements for “Organa Forces Defeated” and “Thul Forces Defeated” no longer have inconsistencies between the titles and descriptions. A Brother’s Request: This mission on Voss is no longer incorrectly listed as optional and now provides a greater credit reward. Alderaan Bonus Series: “A Spy in House Organa” and “Shipment of Weapons” now progress as intended if players log off while completing one of the two missions. Corellia Bonus Series: The holostatues in Axial Park used in the Republic bonus objective “Restore the Statues” now display their holograms.